With the support of our network of friends and partners we could start looking 40 years ahead. And in 2017, we were able to summerize our goals and start working on our mission for realizing the vision 2057. The passing away of SEKEM Founder Ibrahim Abouleish does of course show impacts especially in SEKEM’s societal and social structure. Ibrahim Abouleish was a very charismatic and strong leader, who kept the spiritual world and the earthly reality in harmonic balance. Of course it is not possible to replace such a great character whose impact can be seen and felt in every little detail of SEKEM. Hence, in July some SEKEM community members came together to draw a picture of how to create a resilient and agile governance structure for the future of SEKEM as a complex living ecosystem. The aim was to gain clarity on who is doing what and to break down the responsibilities in form of roles and circles and to fit this in the overall institutional, legal framework that also reflects actual decision making power distribution. This was the starting point of a process that SEKEM named SEKEMsophia and that aims to find a new, innovative still sustainable and holistic governance for the SEKEM Initiative. It includes a transformation that is as much about honoring the past with its successful pioneering spirit of Ibrahim Abouleish, as well as inviting the future with what wants to emerge with a new generation. In 2017, SEKEM could keep its track in fostering societal life through various aspects. 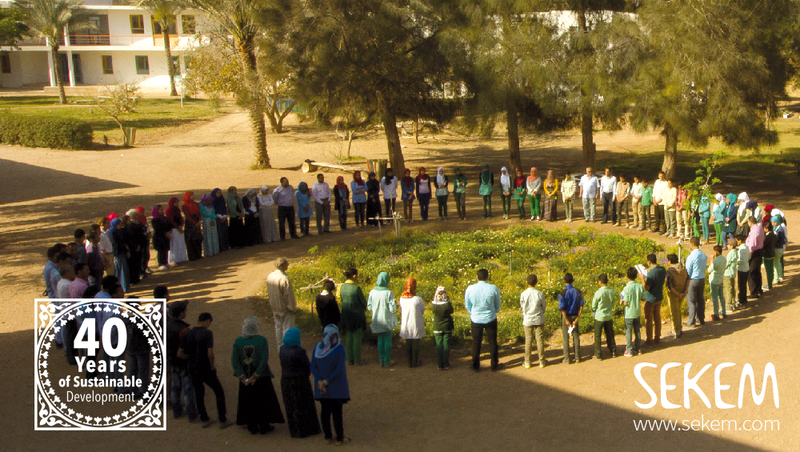 Promoting gender equality is still one core topic and integrated in different ways in all SEKEM institutions. 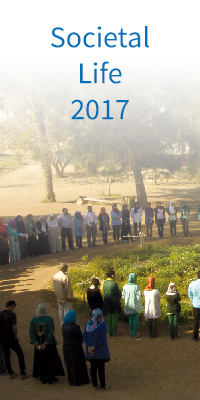 At Heliopolis University for Sustainable Development, for instance, a new series of courses started in 2017. As part of the Core Program, a workshop under the title “Future of Gender Equality” included lectures about Egyptian feminists, unconscious bias, and stereotypes that contribute to the daily discrimination that women face. The aim of these classes is to bring awareness to gender equality to a more comprehensible level – an essential part for building a sustainable community, which Heliopolis University is striving for. 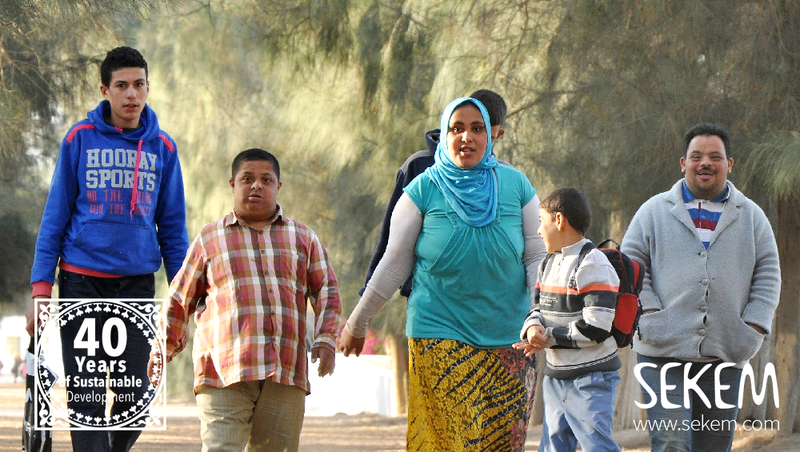 Besides, SEKEM presented it’s commitment to gender equality in events for instance in Cairo. Basmah Metwally, SEKEMs Gender Diversity Officer, emphasized on the meaning of equal opportunities in SEKEM during a conference on the topic “Investing in Women – Private Sector Solutions”. 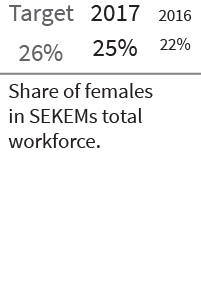 In association with SEKEM’s growing activities in regards to supporting female co-workers, the total amount of female workforce increased in 2017 by +3%. Thanks to improved working conditions SEKEM can adapt more and more to their needs. 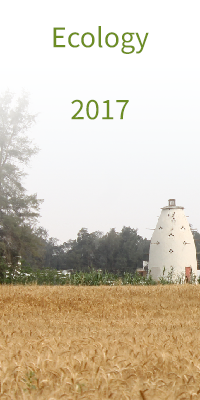 As 2017 had been a very special year for SEKEM community, partners and friends played an essential role. 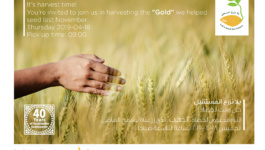 We shared our joy and grief with reliable friends and our partners gave us a safe foundation during the challenges caused among others by the financial crisis in Egypt. SEKEM’s long standing business partnership with the Lebensbaum Foundation founded by Ulrich Walter, enabled Heliopolis University for Sustainable Development with a generous donation to open the Space of Culture after the passing away of Dr. Ibrahim Abouleish (read more under Cultural Life). Also, the relationship between SEKEM and its longstanding partner Rapunzel has surpassed business. 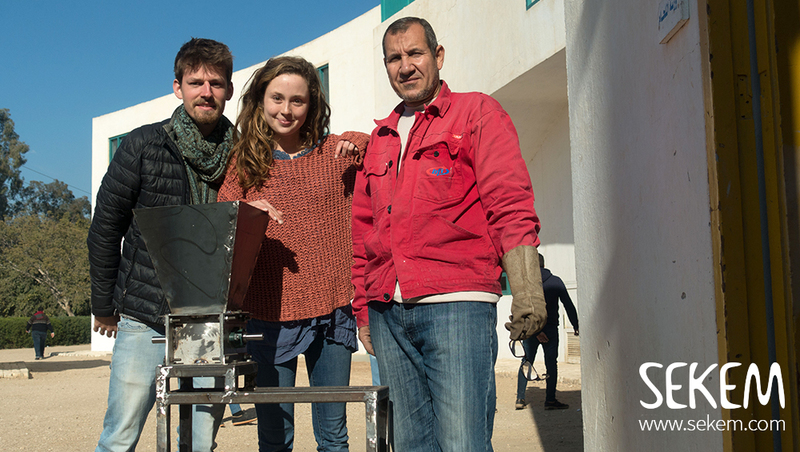 Rapunzel supported two of SEKEM’s projects with its Hand in Hand (HIH) fund. HIH provided training sessions for 50 women – wives and daughter of SEKEM’s contracted farmers – teaching them small scale food and cosmetic productions that make use of the plants around their area. Such skills create job opportunities, and enable women to be independent of their husbands. Also thanks to Rapunzel, students of Heliopolis University planted trees around the university. The trees will grow with names attached of the promising future leaders. 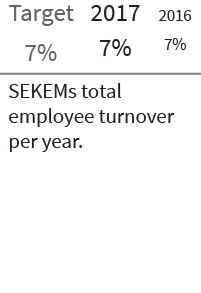 And for sure, SEKEM’s financial partners did huge efforts to strengthen SEKEM during the economic crisis in Egypt (more under “Economic Life”). One of SEKEMs shareholders, the cooperative society Oikocredit, even organised another SEKEM study tour in 2017 for its members. We could welcome 12 guests from our Dutch investment partner and introduce them to the initiative and all the activities they are investing in. 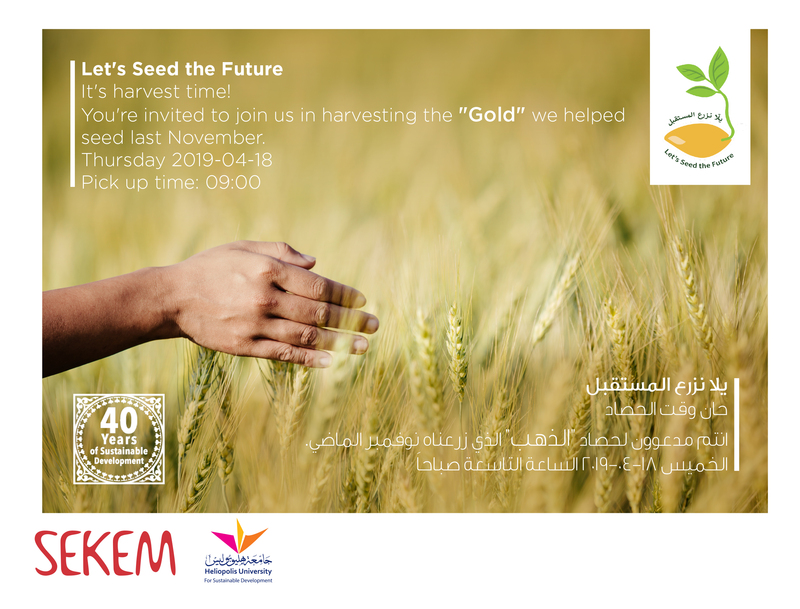 With common values and engagements towards a sustainable future, the partnership between SEKEM and Oikocredit is a very precious one, and it is certain that the connection will grow deeper with every study tour that is planned to take place on a yearly basis and offers a very important direct contact and exchange between people. In different countries, in the framework of various events, SEKEM could present it’s concerns, share experiences and learn from others in 2017. Noha Hussein, SEKEM’s Public Relations Specialist, attended for instance an event about the 17 SDGs (Sustainable Development Goals) in Cairo. SEKEM is working on all of the recently published goals by the United Nations already since the beginning even though they were called different in 1977. Various representatives of the Egyptian private sector discussed the SDGs aligning them to their present and future business activities. The event marked a successful start for cooperation and awareness in Egypt’s private sector. 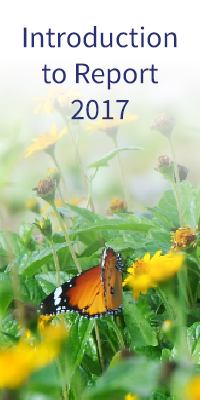 In 2017, SEKEM representatives participated in 36 events concerning sustainable development. SEKEM’s CEO Helmy Abouleish was welcomed by many old and new friends during the year 2017. He travelled several times across Europe and presented SEKEM’s current development at events in Germany, the Netherlands, Belgium, Switzerland or Austria. His trips included among others meetings with Weleda, the GLS Bank, Triodos Bank, Oikocredit, the European SEKEM Friends Associations and many more. 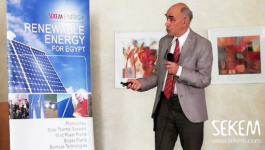 Helmy Abouleish was thereby able to visit many of SEKEM’s friends and partners who have made sustainable development in Egypt throughout the last 40 years possible. 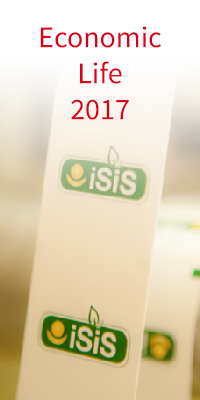 In Egypt, ISIS Organic, SEKEMs biggest company and BeFit, the leading fitness entity in Egypt, organized the event “Grow Healthy” at the Metropolitan School in Cairo. Attended by 50 of the students’ parents, the workshop tackled the challenge of especially the young generation towards food and offered insights on how to subject their kids to nutritious food by developing for them healthy, yet tasty recipes. SEKEMs Chief Sustainable Development Officer, Maximilian Abouleish-Boes, and his team organized a five-day workshop on building a sustainable economic and life model. 20 young participants from various Egyptian organizations and institutions attended in order to get to know SEKEM’s experience. Three days at SEKEM’s main farm in Belbeis and another two days at the Al-Bahariyya oasis were included to see the differences and developments between the two places. The trips were accompanied by meetings and presentations of SEKEM founder Dr. Ibrahim Abouleish and SEKEM’s CEO Helmy Abouleish. In order to inform all friends and supporters as comprehensive as possible, SEKEM tries to constantly develop the communication channels. After relaunching the English SEKEM Website in 2016, we now offer a German version as well. 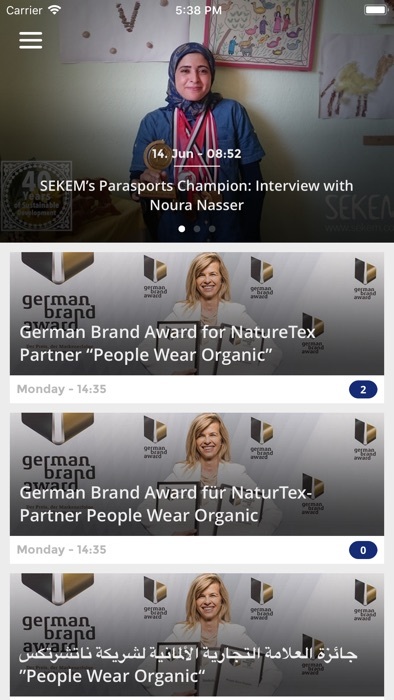 People can read about SEKEM’s activities in the four dimensions of sustainability, Economy, Societal Life, Cultural Life and Ecology, and find the corresponding news in three languages. The Arabic translation of SEKEM.com is planned to follow soon. 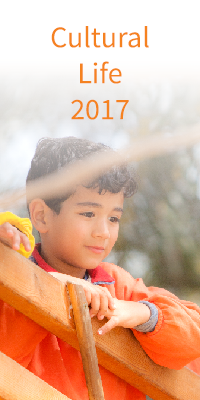 SEKEM had been featured in various external publications in 2017. 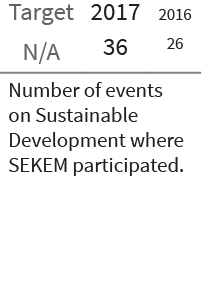 Among many others, the UN Environment report mentions SEKEM as a best practice example in “Fostering and Communicating Sustainable Lifestyles: Principles and Emerging Practices“, besides 15 other global campaigns and initiatives promoting sustainable lifestyles. 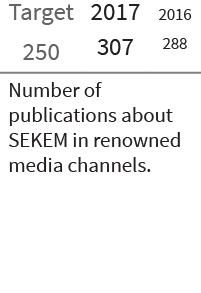 In 2017, SEKEM was mentioned in more than 307 articles. In November 2017, Helmy Abouleish was elected as a Councillor of the World Future Council following his father, Ibrahim Abouleish, who co-founded the international organization in 2007. 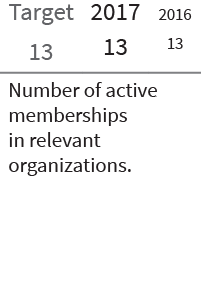 The WFC represents 50 members from politics, science, economy and culture. They meet once a year and prepare a work program together. SEKEM highly appreciates the opportunity to continue supporting the World Future Council by Helmy Abouleish’s membership as a councillor and thereby work with many experiences representatives together for a sustainable future. Thanks to many contributors, within 30 days, SEKEM’s first crowdfunding campaign raised more than 21,000 USD (107% of its crowdfunding target). Due to these funds SEKEM Environmental Science Center (SESC) as part of the SEKEM School is now able to establish an alternative education lab to experiment with innovative curricula serving holistic education. 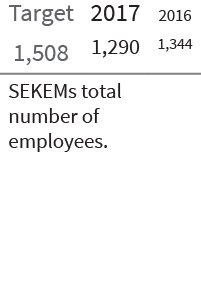 End of 2017, all SEKEM companies employed 1,290 people, 54 less than last year. 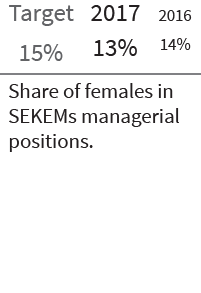 In total, SEKEM has 11 senior managers (no change), 95 middle managers (-29), 402 specialists (-73) and 587 (+13) laborers. SEKEM exercised great effort to reduce its number of daily labors from 410 in 2015 to 160 in 2016 and 168 in 2017. Daily workers are not part of the formal workforce and hence, do not get access to the same benefits. An important step is to help daily workers to get legal papers and integrate them into a long-term relationship with one of SEKEMs subsidiaries. Our aim is to reduce daily workers to zero at least for the industrial operations.